Rather than distracting you from it, having a side project that speaks to your interests and passions could help you be even better your day job. Many of us love our jobs. Many more of us may not–or may not right now. We go into it with the right intentions, but as time passes, what was once exciting and new becomes repetitive and draining. As we get more experienced at a company, we get loaded on with more responsibility that might take away some of the freedom we once felt. The result can be that we start to burn out (at least a bit), and may end up less productive, or feeling less productive. This is a recipe for destruction–either we end up leaving the job, or we end up wishing we were leaving the job. The surprising answer to guarding against this is to take on another job. More accurately, pursue a side-hustle–a different job that speaks to your interests, passions and abilities, and ideally is different from your day job. That could mean you work on your art by night while you are a lawyer by day. Or, like me in my early career, I was a management consultant by day and did website development for small businesses in my free time. Whatever it is, a side-hustle should allow you to engage in something you are really interested in personally. With that as the only guiding rule, here’s how it can help rekindle that spark in your professional life. No matter how great or creative your day job is, often it ends up being repetitive and can be filled by more process tasks than you wish it had. That can lead you to yearn for a truly creative escape, or one that works a different part of your brain. We all need to flex our thought muscles in different ways to stay mentally alert and engaged. Here’s where a side-hustle can help the most, and why it needs to be based on something you are passionate about to really benefit you all around. It can be your chance to work in an area you genuinely care about. Your day job may not afford you those chances to paint, work with the homeless, write poetry, take photographs or whatever else you find yourself most interested in personally. That little bit of work that purely speaks to your interests can bring the spark back into your life that allows you to be more productive and creative in other aspects of your life. 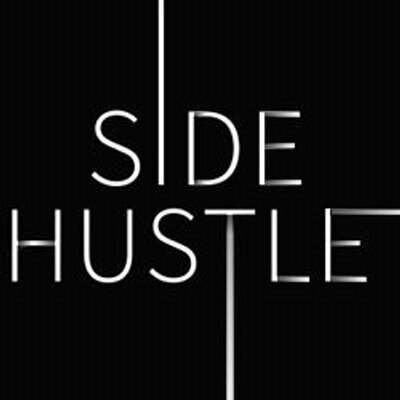 In my current life, I have a side-hustle, which is the side of me you are experiencing right now. By day, I’m an insurance executive. While I love my day job, getting to dig into leadership and motivation issues through my writing and coaching work has allowed me to engage in my day job with an energy and perspective I would not otherwise have. Rather than being a distraction, it has been additive to my primary work. One thing many of us lack in our day jobs is responsibility. Most of us ultimately work for someone else, whether a boss, investors, shareholders, etc. If you freelance or just have a small business of your own, you get the chance to be your own boss and answer only to yourself (and your customers). That can be freeing and teach you a lot about responsibility in a way you would never get in your day job. That can also translate directly to bettering your day job performance. You suddenly understand at a much deeper level the importance of having a quality work product, meeting deadlines, getting customers to pay on time, the cost of all the inputs into your work and more. It’s not like you were ignorant to these things before, but when you deal with them with your name attached to the repercussions, you understand how important they are more better. And that means you are likely to take them even more seriously in your day job, and the people you work for will appreciate that. While I have been saying side-hustles can help you be better at your day job, they can also help protect you from the instability that may exist in that day job. Sometimes, jobs do not work out–people get fired, laid off, etc. Having a side-hustle can help protect from that in a couple of crucial ways. Firstly, it bolsters your resume to create options for what you do next. If you only have one career path in your resume, that can limit the roles you can apply for going forward. For example, if I wanted to do web development full-time, it would be much easier with my side business building websites than if I had just been doing management consulting. Secondly, it creates some income protection. While a side-hustle may not pay what your main job does and likely does not come with benefits like health insurance or a 401k, it may bring a little extra income you can use to get you through a period between day jobs if things do go South. You may even find that you can make your side-hustle your main gig if you find yourself available full-time, and the investment you put into setting it up already allows you to make that shift seamlessly. One word of warning here–you may love your side-hustle so much that you leave your day job. And that’s ok.
Just be aware that you may be embarking on a new career rather than just having a creative outlet. Go consciously down whatever path you choose, and it will work out great. This post is inspired by my best-selling book, “Do a Day: How to Live a Better Life Every Day” available in print, eBook and audio book formats. It originally appeared in my Inc.com column on November 1st, 2017.